- First scheduled dive of the season is going to be at Fortune Pond May 12-13. That's in Crystal Falls Michigan for those who haven't heard of it. Super clear water, quarry dive. Planning on attending. For sure my UDS-1 will be along. Hope to get the other UDS-1 working by then. Update, I now have a working U.S. Divers ABS triple tank system so that will also be there along with my UDS-1 triple tank system. 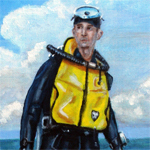 Perhaps if DiverDon brings his Nautilus we would have 3 cool backpack items to dive!! 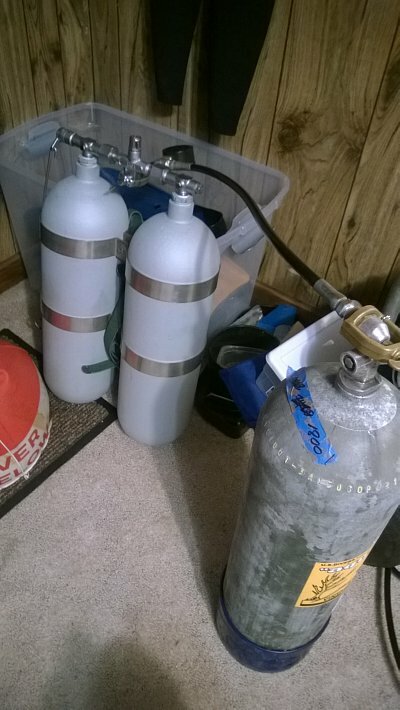 I will have a compressor there to pump tanks too so other people can dive the ABS, or UDS-1. I don't think I'll have my 2nd UDS-1 system fully functional by then...I'll have a bunch of double hoses along also. e Need to get a Hugh Jaws model to put it there. 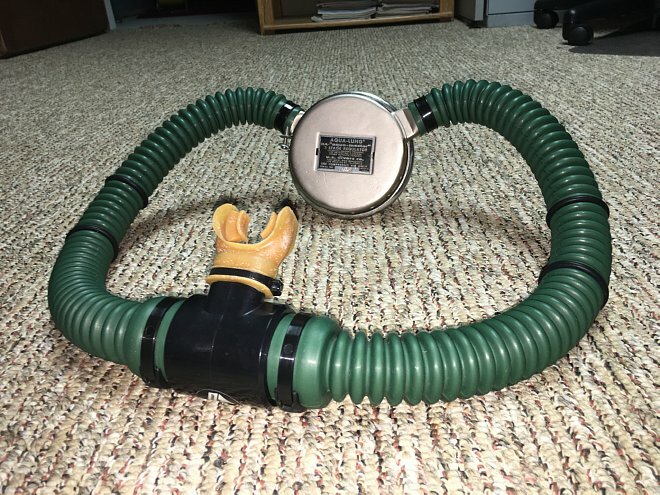 I'll be testing my ABS tanks in Lake Superior tomorrow, and if all goes well with the harness and backplate I'll bring them to Fortune pond as well as my Nautilus. I do not believe my UDS-1 will be ready so I won't be bringing that along, but I will have a DH or two as well. Is anyone bringing a compressor? Yes Don, I will be bringing my compressor. You can sure try my UDS-1 if somebody else doesn't beat you to it!! I'll be in line to try that for sure. I need to take a close look at your harness too. Didn't it require a little finessing to get it right? I haven't even looked at mine yet. Once my manifold is back and the fill problem addressed (hopefully), I'll focus on my UDS-1. I seriously want that system ready this summer. In the meantime, I have these tanks and a couple other goodies that haven't been used in a while. I hate to let gear sit idle. Makes me (and more importantly, the wife) think I got too much stuff. Can't have that. Don, I had to modify my shoulder harnesses. No way they were long enough for me. When I do my 2nd UDS-1 system I will make my own harnesses. I already have some strapping. Where do you guys get your webbing? Any place you'd recommend? I need to make new straps for my packs since they're too short. Do you use nylon, polypropyline, or ? Thanks for the tip, JB! I bought 20 ft black, 20 ft Scuba blue! Very reasonable price and shipping! - I'll be diving my newly restored "Twin 48s" and Cyclone HPR Mystery Mess DAAM upgraded to DSV mouthpiece. Also my yellow USD Twin 38s and Cyclone HPR Royal Aqua Master. Rich will be diving his two different "Twin 50s" sets with his new Phoenix HPR DAAM. Lots of interesting multiple tanks sets and regulators to see at Fortune Pond this weekend. Do you use snaps for the shoulder release? I was looking for stainless or chrome snaps for my new harnesses but didn't see much or know whether they were appropriate for the task. Any recommendations?